Save more with bundled offers! Our web hosting combo plans are the best deals in the market to get you online with ease. On the Hosting Combos, get top-notch performance from ResellerClub's Linux Shared Hosting for fabulous reliability and scalability. Create your business email accounts with @YourDomainName and showcase your professional credibility. Our easy-to-use drag-and-drop website builder allows you to get your domain name and website up in just a few minutes. Online Website Builder with over 85000 images in the gallery and 175+ Mobile Responsive Themes curated by professional designers, give your website a modern look. Our dedicated team of Web Hosting experts work round-the-clock to ensure your business does not face any disruptions. Can I transfer a domain and use it in a web hosting package deal? We're sorry but you cannot transfer a domain name and use it in a web hosting package deal. A web hosting deal can be purchased only with a new domain registration order. Can I choose any other product other than what is included in the Combo Plans? We're sorry, but you cannot choose any other product or TLD other than what is already available within the Combo Plans. How do I renew web hosting package deal orders? You can renew the orders included in the Combo Plans independently. Renewals will be billed at regular prices for each individual order in a web hosting package deal. Is there a Money-Back Guarantee for Combo Plans? We are currently not offering a money-back guarantee for orders in Combo Plans. Can I upgrade orders in a web hosting package deal? You cannot switch from one web hosting package deal to another. However, orders included in a web hosting package deal can be upgraded individually. The upgrade or downgrade will not include a pro-rata credit. Can I create my own custom Combo Plans? Currently, you cannot create custom Combo Plans. How can I start selling Combo Plans to my customers? It's easy. 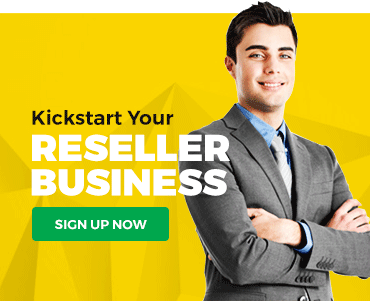 You need to sign up for the product and plans, set prices accordingly and resell it to your customers. You can manage prices for Combo Plans on your Control Panel. Unfortunately, you cannot transfer a domain name and use it in a packaged offer. These discounted prices are only applicable on new registrations. What will the price of the packaged deal be at the time of renewal? This discounted price is applicable only for the first year and for annual purchase. Renewals will be billed at prices prevalent at the time of renewal for each individual component / product in a bundled order. Unfortunately, you cannot choose any other TLD other than what is already available within the Combo Plans . cPanel email will be available to you with unlimited storage and a number of accounts with Hosting Starter and Hosting Advanced Combo Plans. The Website Combo and E-mail Combos will have E-mail powered by OX.